Waterford is the location of this South facing contemporary property with superior views of the mountains. Just over 6900 sq ft of living space the property boasts great scale with generously sized living room, formal dining room with built-ins and large cooks kitchen with tons of storage that leads to the more intimate den area. The master suite located on the West side of the property has two very large walk-in closets with built-ins as well as double bathrooms, and an area that would be perfect for an exercise space. Plenty of sleeping chambers most with their own private bath. Two of them could also be used as office space(s) as they have in the past. Very large separate guest house also has soaring ceiling height and takes in views of the lush backyard, pool/spa and mountains. Three fireplaces inside and the one fireplace outside is the focal point of the outdoor living area with spacious scale for outdoor lounging and dining. 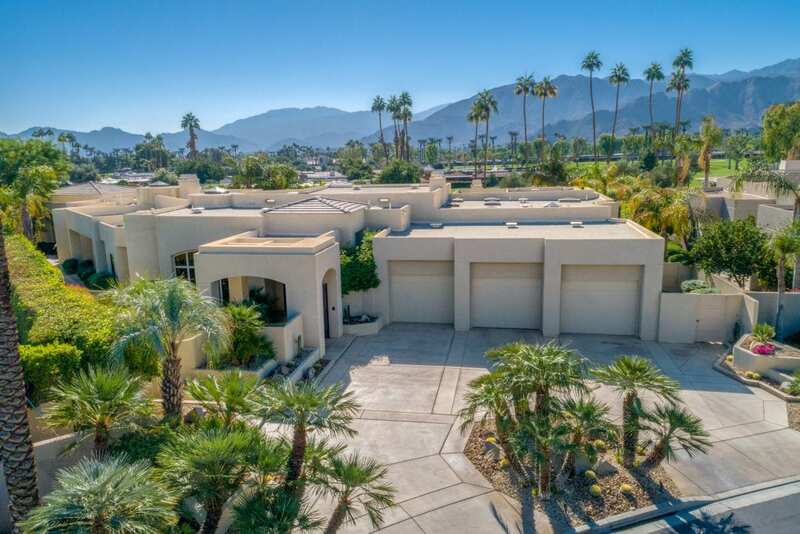 Superior central location in Rancho Mirage.